The lecture series Distinguished Women in Aerospace celebrates the contributions and accomplishments of pioneers and leaders in academia, government and industry to the field of Aerospace Engineering and Sciences. This lecture will talk about Northrop Grumman's (formerly TRW) work in lasers and laser systems, focusing on high-power diode-pumped solid state lasers. 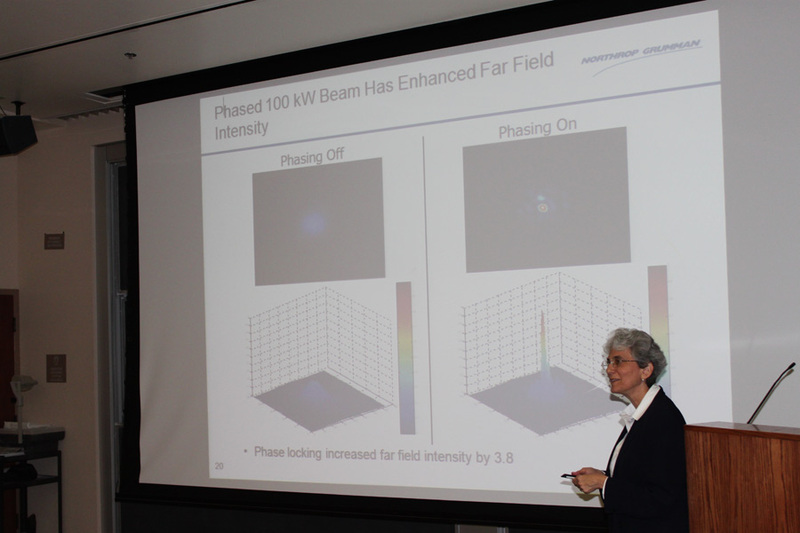 Also to be discussed are some of the issues in scaling to high power with good beam quality, and the way the Northrop Grumman team has overcome these issues to develop a 100 kW continuous-wave solid state laser. Dr. Gish will also talk about graduate school at Caltech in the 1970's, her career in aerospace and trying to maintain a balance between work, family and other activities. Jackie Gish received her BA from UCLA, a MA in business administration from USC and her PhD in Chemical Physics from Caltech in 1976. 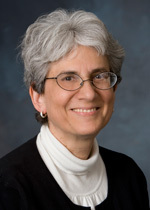 Following her postdoctoral studies at UCLA, she joined TRW, now the Northrop Grumman Corporation, in 1978 as a member of the technical staff in the Space & Electronics Group. 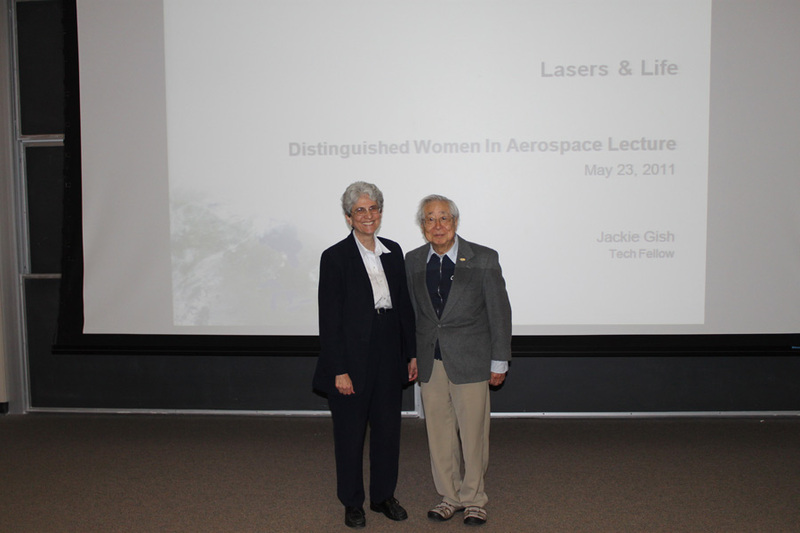 She is widely recognized for her significant contributions to the development of high-energy lasers. During her long accomplished career at Northrop Grumman Corporation she developed diagnostics for plasma and laser programs and then led efforts on chemical lasers and solid state lasers. She has been a department manager, program manager, business development lead and director of laser technology development and is currently a Northrop Grumman Technology Fellow and a Visiting Associate at Caltech, as the Northrop Grumman Liaison. Dr. Gish volunteers as a mentor in the MOSTE (Motivating Our Students through Experience) program, which matches middle school girls from inner city areas with professional women. 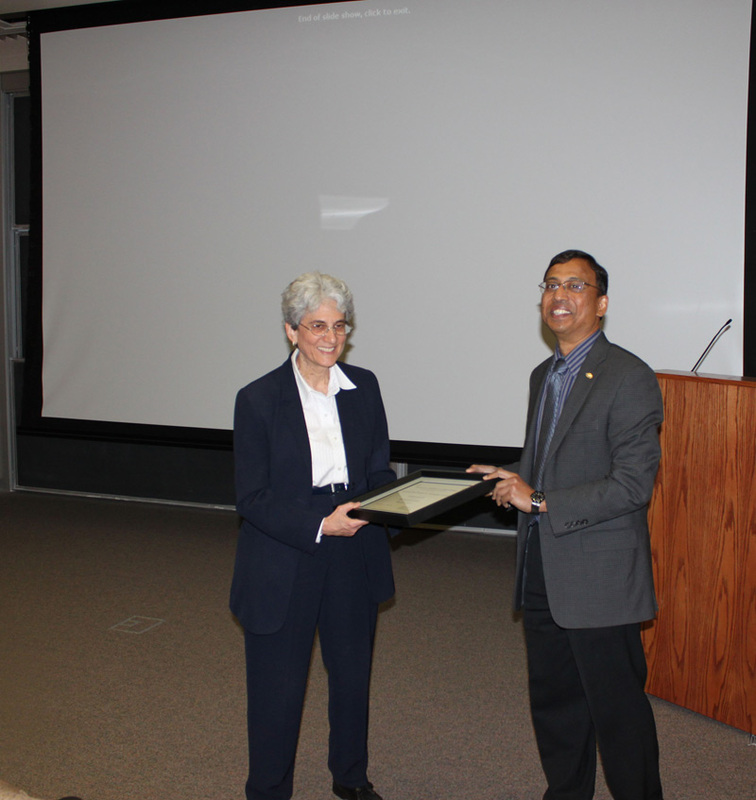 She received the highest honor her peers can bestow by being elected a Fellow of the Directed Energy Professional Society (DEPS); she was the first woman to be elected a DEPS fellow. 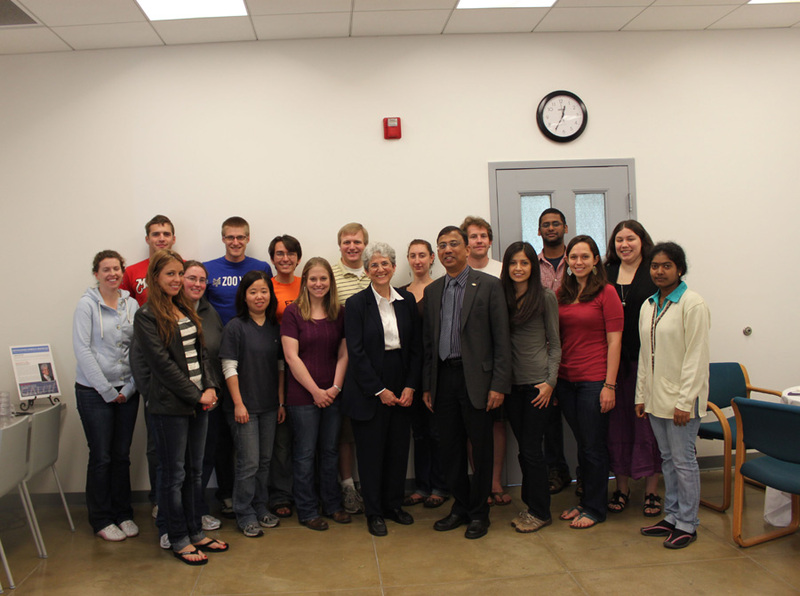 She has recently been honored by her election to the National Academy of Engineering.